I’ve always thought this cheese was underrated and super cute. It’s in that Alpine cheese category that I love so much, but it’s less well known than many others from that region, at least here in the U.S. 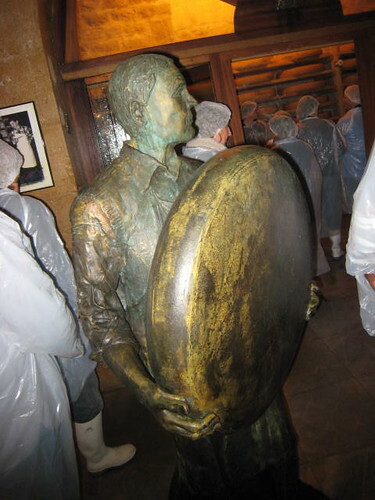 Though it varies by producer, affineur, etc. 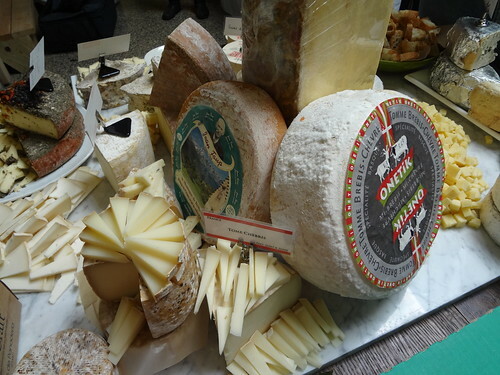 it can be about the spiciest of the French Alp cheeses with that aged sweet onion taste I associate more with cheeses from the Swiss side of the border. 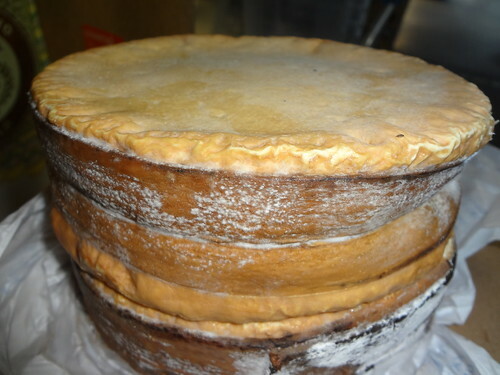 Supposedly the history of this dates back to the 14th Century when Monks made this style of cheese. But you don’t need to study up on this cheese to enjoy it. I’m sure this is not true 100% of the time,* but, generally, darker the wash on the outside, the stronger the cheese. This actually holds true with the Vermont versions of this cheese – Tarentaise by Thistle Hill and Spring Brook – and there is a scientific basis for this so I’ll stay with it until proven otherwise. 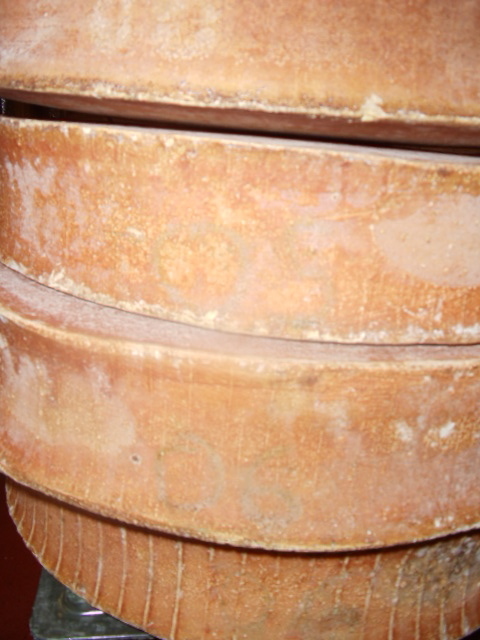 Right now we have about the strongest Abondance that we’ve ever had but I like it in all its permutations. The blonder rinded ones are incredibly nutty and grassy, the dark pink sticky ones are big, intense, and powerful. And cute. *We’ve never regularly sold this cheese so I do not consider myself an expert on it. In 19 years of mongering we’ve probably sold less than 2000 lbs. 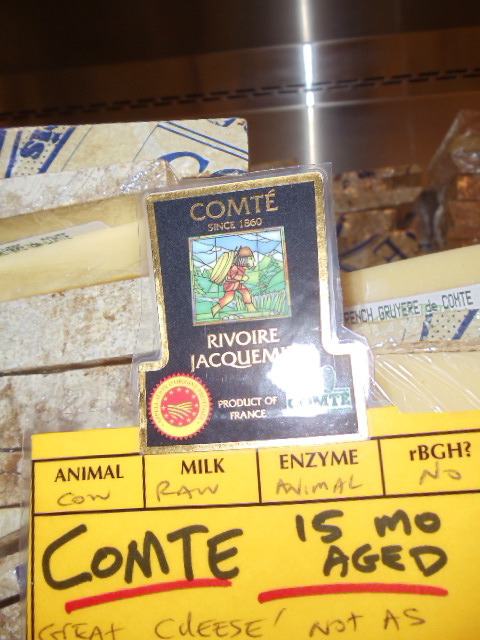 I love Comte. 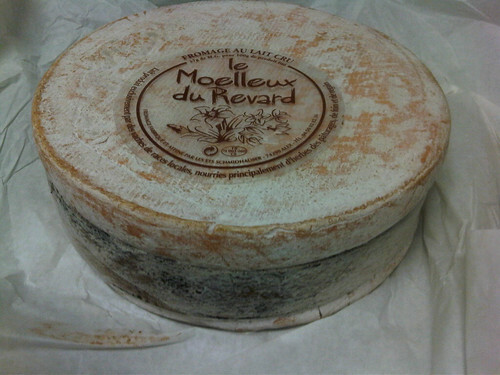 Why not re-start my Purely Arbitrary Cheese Obsession of the Week entries with a cheese I love so much? There are lots of good Comtes. 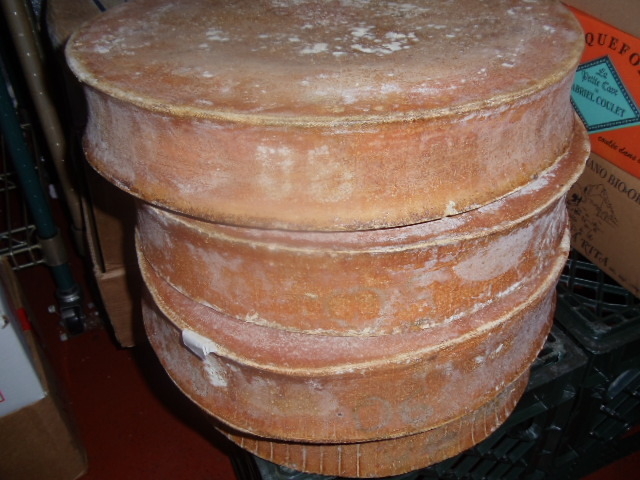 We almost always use a 4-6 month Comte as our basic Alpine cheese and we often have a more aged one as well. Right now our 15 month (from the Fort Des Rousses which you can see lots pictures of if you scroll down to “Day 6”) is stellar. Nutty, grassy, milky-sweet…. I rarely use anything else for cooking anymore. 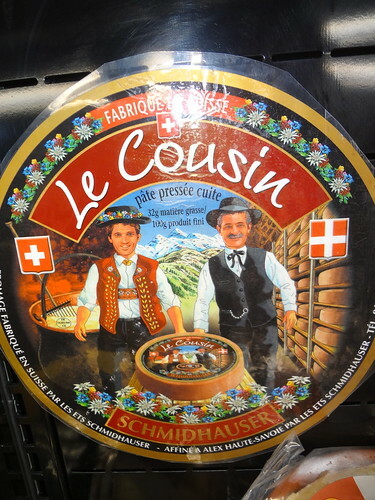 The basic difference between Comte (sometimes called Gruyere de Comte)and Swiss Gruyere besides the border line is that (at least from what I saw) the Swiss is brined and the Comte is hand-salted. 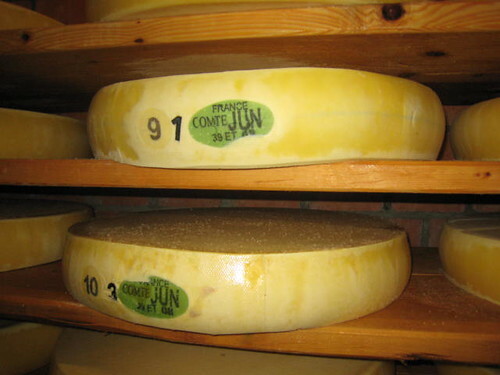 From our vantage point 10,000 miles or so away from both producers, the Swiss is usually more pungent and onion-y, the Comte more nutty and sweet. 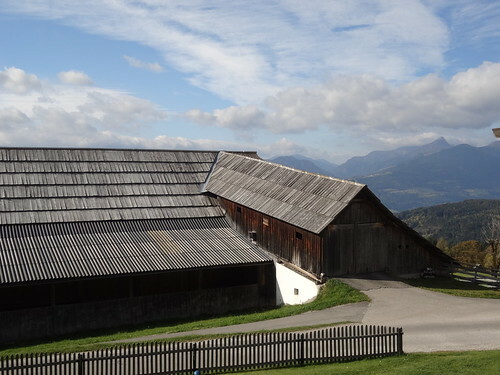 The other difference is that – due to the name-control regulations – Comte preserves the land where it is made by legally recognizing the importance of pasture. 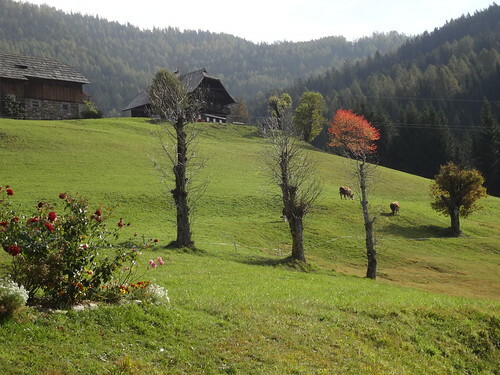 Though the milk of over 100,000 cows is used to make Comte, the average herd size is only 35 and each cow must have almost 2.5 acres for grazing. 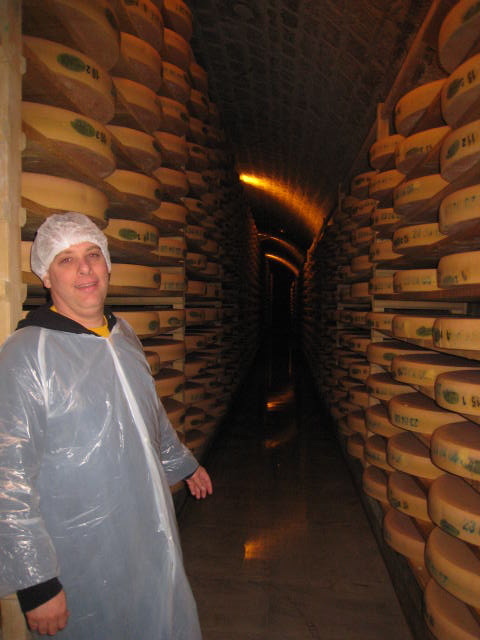 The local cooperatives that make the cheese are also limited in the amount they can produce. 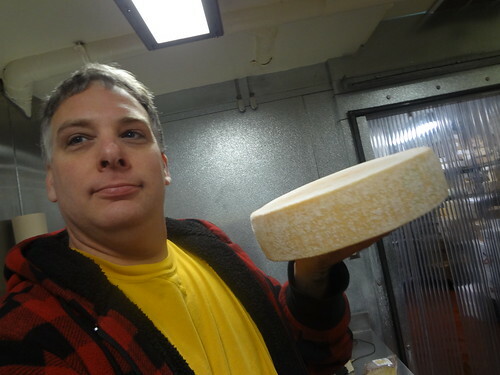 I even used it as a submission for an article that an environmental organization was going to do on eco-friendly cheese. 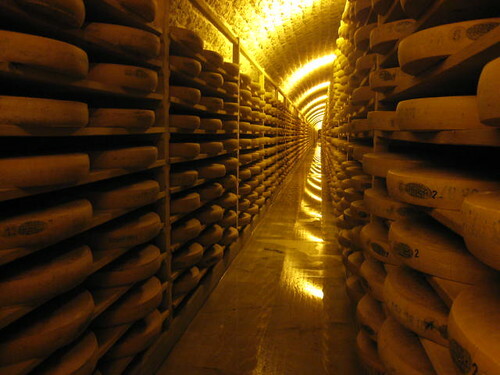 I thought it was perfect because it’s the best example I can think of to show how a cheese can be mass produced (at any given time there are about 50,000 wheels of Comte aging in Fort Des Rousses, which is a large, but not the only, aging cave for the cheese) but still be hand-made with the same quality of a small-production cheese and with explicit regulations regarding the protection of the environment and animal welfare. 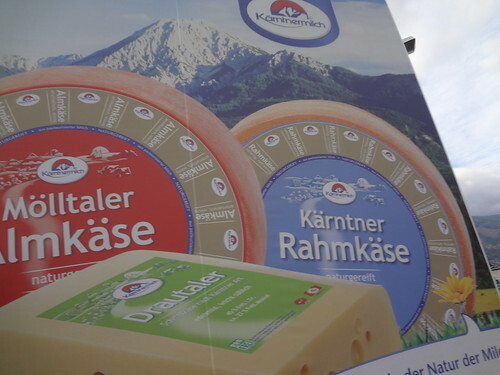 Amusingly, it wasn’t used because they chose to use a more esoteric, pricey,harder-to-find Alpine cheese example instead. Stay (upper-)classy, big environmental groups! 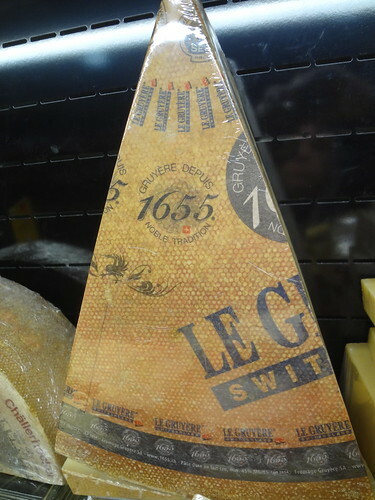 Anyways, Comte is my Purely Arbitrary Cheese Obsession of the Week. I’m going to go eat some right now.